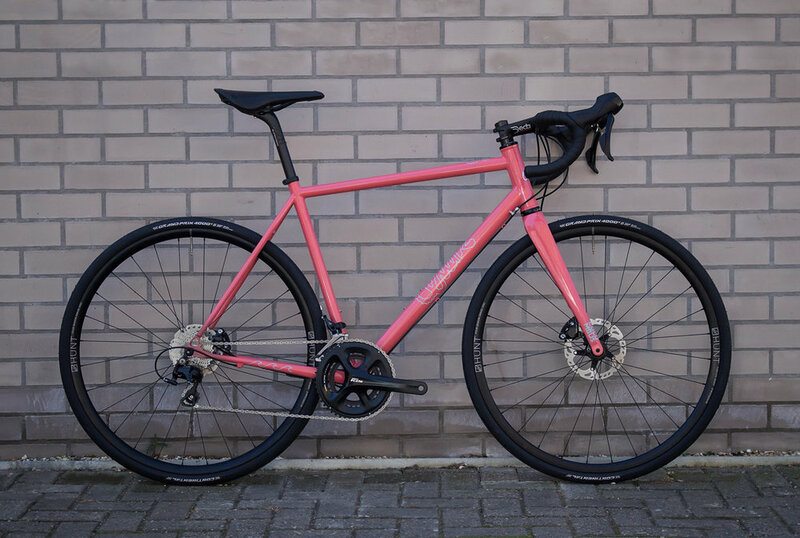 Pascal's North Sea All-Road — Quirk Cycles | Custom Steel Bicycles Handmade in London by Framebuilder Rob Quirk. I first met Pascal during Rad Race’s Munich to Venice ride ‘Tour de Friends’. I was there riding with Justin Levene, Owen Blandy and Francis Cade as one of two hand-bike teams in the event. As part of our support Pascal was assigned to our team to help us between stages. Always there with a big smile on his face we instantly we hit it off. While we crossed the Alps, Pascal told me about his plan to ride the whole of the North Sea Cycle Route with his partner Anna. Over three months they would cycle from Hamburg to the UK, up the East coast of England and Scotland, ferry over to the Orkney Isles to the Northernmost tip then catch a seaplane to Bergen. From there they would continue down through Norway to Denmark making their way back to Germany. All the while we spoke I had no idea Pascal was planning to do this on a Quirk. When I got back to England Pascal soon got in touch to say he’d like to get a road bike to carry him on his tour. Having seen me ride my All-Road bike Pascal was keen to have one of his own. 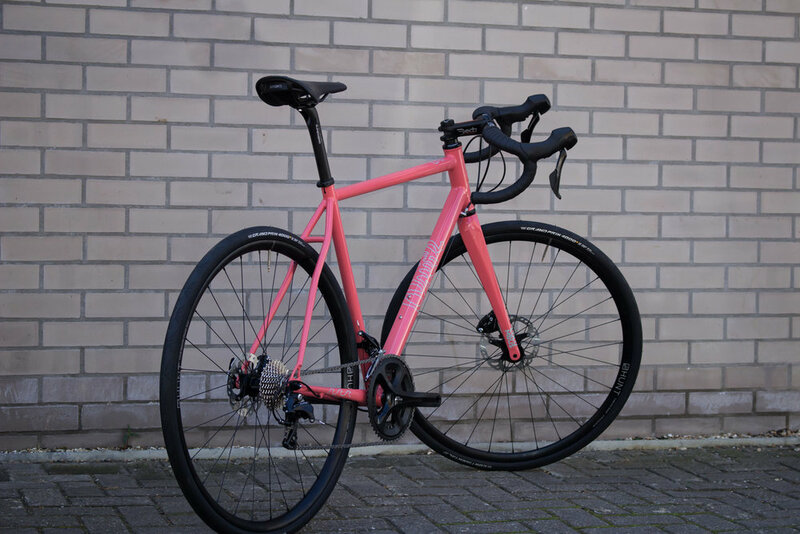 Knowing it had been designed to race such long distance events such as the Transcontinental Race the design would be perfect for riding the North Sea Route. 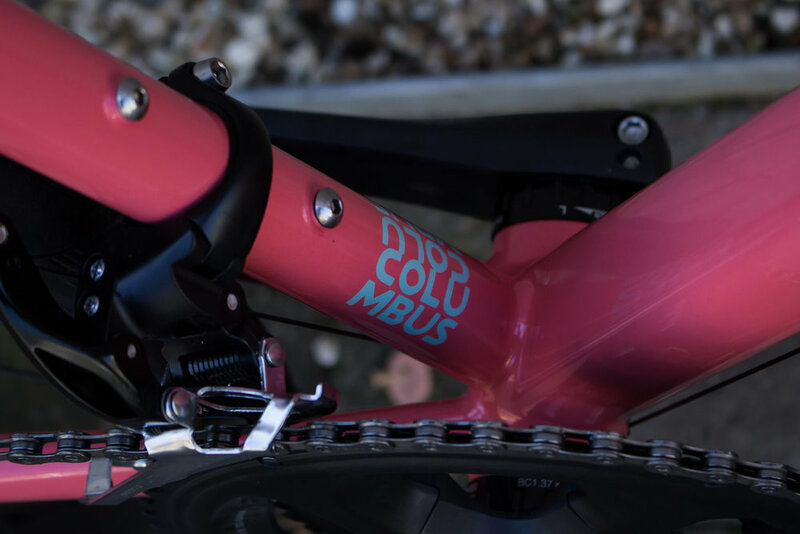 Built around a front triangle of Columbus HSS tubes for the best mix of weight to strength, the design uses a compact geometry to dial in comfort for the long days in the saddle along with the right amount of stiffness. The design was true and tested over many iterations so the next step was to get the paint right. Pascal was adamant on having a black bike but after some gentle persuasion we got Pascal open to the idea of trying something more individual. Using pineapples (Pascal’s favourite) as our starting point we drew up several colour ways inspired by the fruit. To our surprise Pascal picked the pink! Masterfully executed by Cole Coatings Workshop, we’re really happy with how it all turned out.